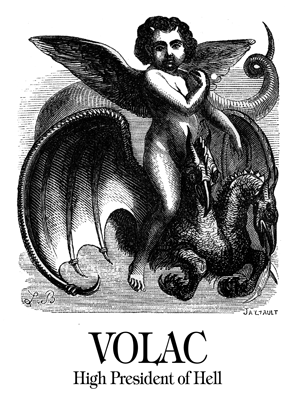 Volac is high-president of hell and commands 30 legions. He tells of the positions of the planets and where to find serpents. 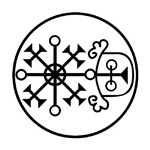 Volac is high-president of hell and commands 30 legions. He appears as a child with angel’s wings and riding on a two-headed dragon. He tells of the positions of the planets and where to find serpents.